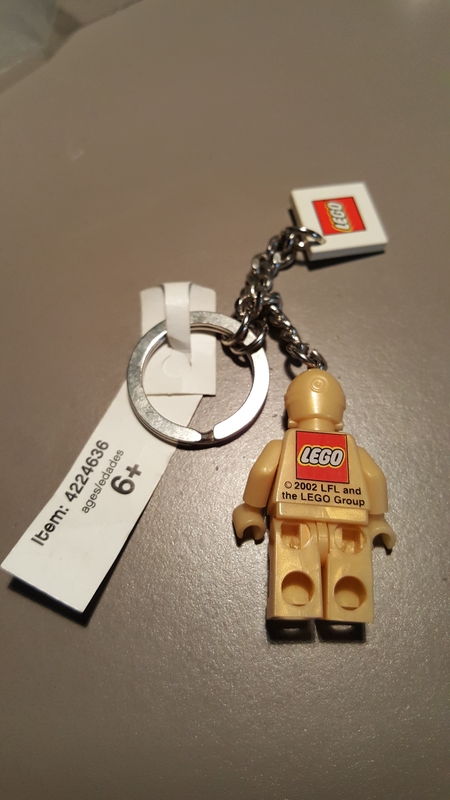 Were older Key Chains stamped with LEGO like the current ones? So the context is I've got it into my head to start collecting a number of the Star Wars LEGO Key Chains. As many are retired I've turned to BrickLink to assist my compulsion. I also recently read somewhere about how LEGO are almost religious about stamping each piece. 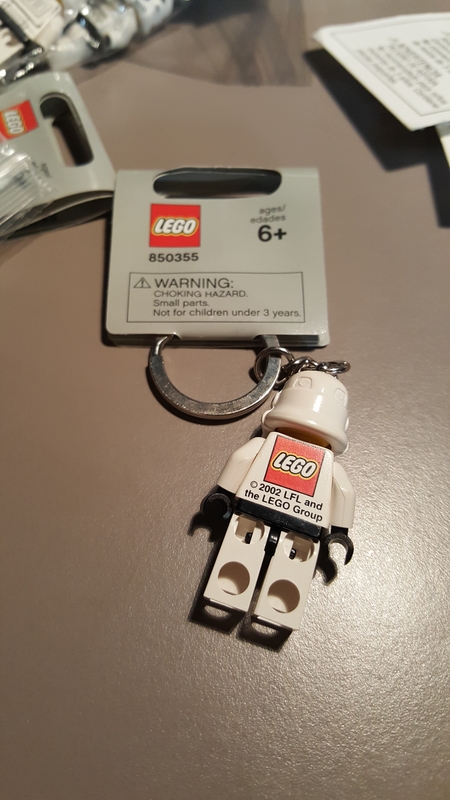 Sure enough all the newer key chains I've picked up have the word LEGO stamped in the same location as the minifigs from sets. Of the slightly older ones I've so far picked up Onaconda Farr  and Scout Trooper  and oddly they both don't have the word LEGO stamped in the same location or anywhere else on the keychain that I can see. Now they were two key chains from two completely different BrickLink sellers so this isn't meant as an accusation but I am curious. 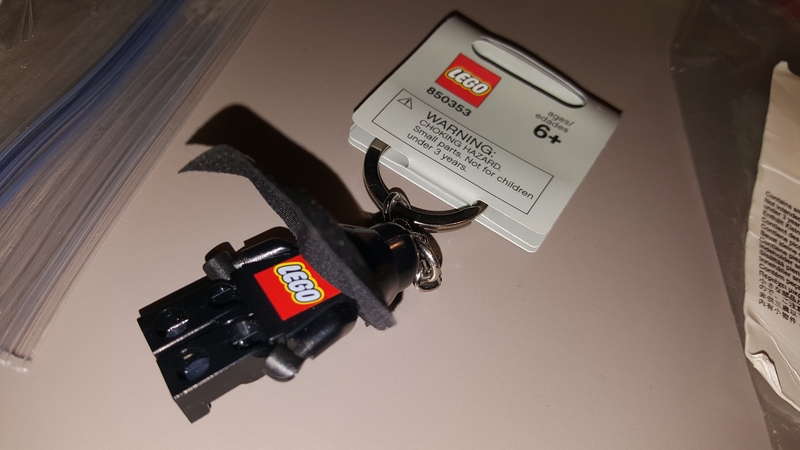 Were the older ones done differently and if anybody purchased a key chain directly from LEGO from around the same time as those do theirs also have none of the typical markings indicating it is LEGO like normal pieces and the new key chains do? The ones from 2014, 15 & 17 all have LEGO stamped inside the foot while the ones from 2010 don't. I haven't found any good images that would tell me one way or another. The short answer is in the grey-tag era of keychains, the minifigures utilized for keychains were either assembled or manufactured separately from minifigures in the sets. Post-grey-tag era, the keychain figures tend to conform with the customary stamping on conventional keychains. As noted above, there are some 'in between' keychains that were manufactured over a number of years where the figures have stamps and some don't. The white tag keychains are the best examples of this transition. When I get a bit of time, I'll folloe up with some photos and verify the two you listed above fall within the no-stamp range. Do recall a similar discussion with regard to regular production minifigures, so you may want to search the Forum for that thread. 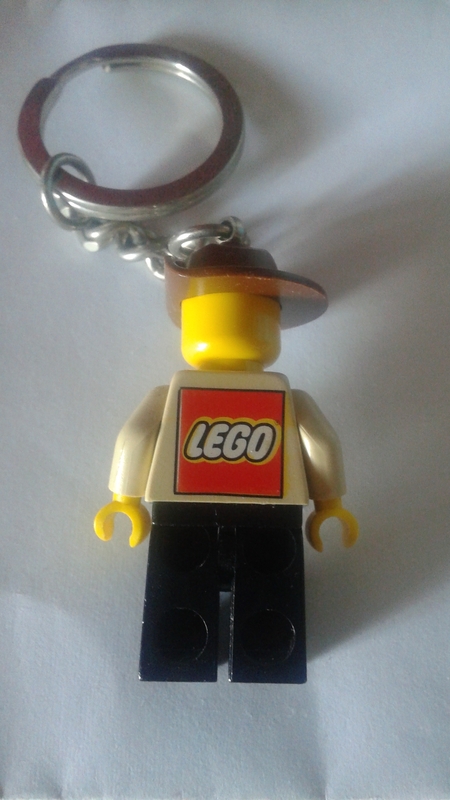 Everything observed in that thread applies to the Lego minifigure keychains. 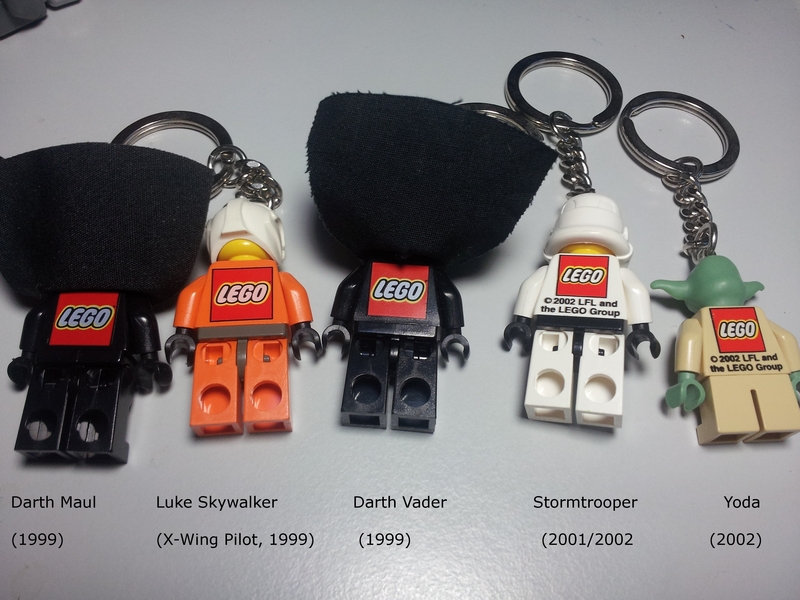 The really frustrating/interesting part of the older SW keychains are tracking down some rare variants with the large red Lego logo printed on the back of the figure, coupled with three different tag style. There is no discerable consistency! There is no discerable consistency! Thank you @SprinkleOtter and @SumoLego, my understanding has definitely improved :-) I thought it unlikely that I'd somehow managed to land counterfeits from two separate BrickLink sellers but I hadn't stumbled upon anything that explained it. It seems there are a number of variations I could expect to see - I had no idea some had the LEGO logo printed on the back but sure enough there are pictures in the forums. I wonder what the next purchase will bring. I had no idea some had the LEGO logo printed on the back but sure enough there are pictures in the forums. Note that keychains made prior to ca. 2004 (does someone know the exact year?) were virtually identical to the figs from sets except that they were glued. I think it is highly likely they came from the same factory and moulds as the standard versions back then. If you want more images I might be able to share some. Those predominantly are the bagged keychains. 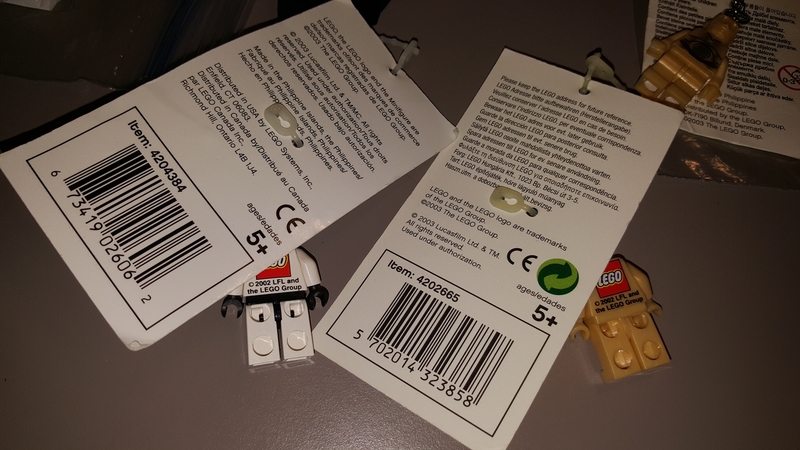 There are a few (Snowtrooper, Stormtrooper, Darth Vader) that have those Lego logos on their back, but are grey-tagged, or come one a much larger white piece of cardboard. The on-card keychains are the most difficult to find. Those ones with the grey/white cardboard must have been from around 2003-2006 am I right? Is there an explanation for their rarity? Especially the Snowtrooper confuses me - did he came in any different version than the Episode 3 era style cardboard one? On a side note - are there regular logo versions of the Yoda and Stormtrooper keychains I posted, without the legal note? I got those as basically loose parts from the Legoland store back in 2002. I think it was just a production transition. The bags were not as popular (or more costly? ), and there was only a short period of the rectangle tag and cardboard keychains. @joel4motion has a Snowtrooper on cardboard that continues to elude me. With respect to your question regarding the Stormtrooper and Yoda, the answer as far as I've seen is - no. 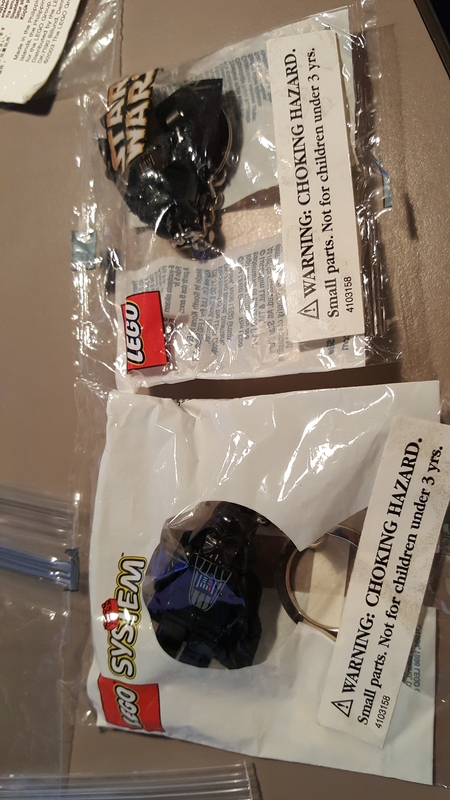 Maul, Vader, and Luke are the 'original' three SW keychains and were packaged in 'System' polybags with a copyright date of 1996. Yoda disappeared for a bit before returning without any logo or copyright date on his back. I need to amend my comments. I have all of the cardboard-backed SW keychains. Ah, thanks! That makes a lot of sense in regard to lego's usual distribution strategies I'd say. I also wasn't aware of that many different cardboard styles in the transition era from polybags to the current version. Your post clarifies a lot. 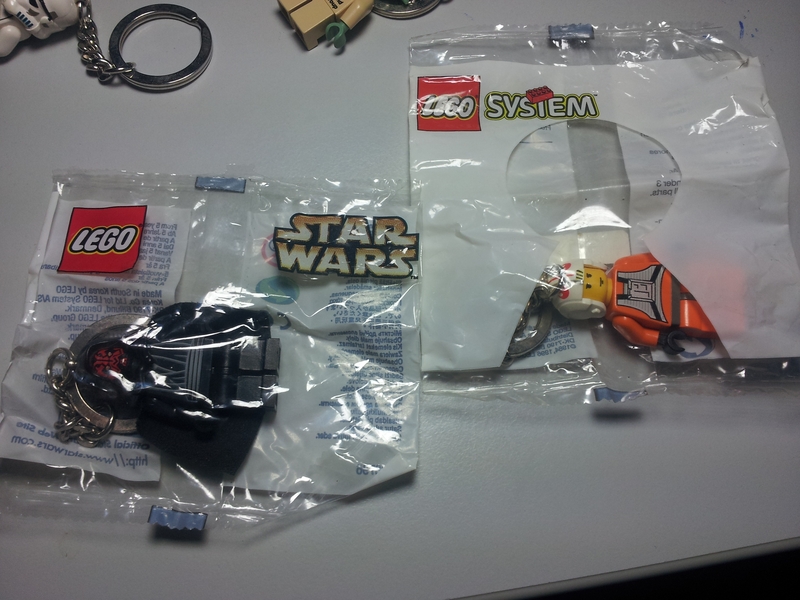 One other note - the first two SW keychains were Vader and Skywalker with the key-hole packaging - Maul was part of the larger group with the Stormtrooper and Yoda in the 'Star Wars' labeled polybags. There is no Maul with the key-hole packaging. It's really, really difficult to find the cardboard and the small rectangle tags. They very rarely come up on eBay, and most Bricklink sellers aren't real good about sending concise photos. ^ Does it have a white rangefinder? LEGO Employee: "For the 800th time, we need to stop kids from trying to eat Darth Vader! We need to put a warning on these things or something!" and the white boba fett with this is a key chain? not a mini fig. Yes, there was a similar 'special' giveaway whereby employees or people working the NY Toy Fair recieved a Boba Fett minifigure keychain with the same Darth Vader book. There was one with a minifigure, and one with the keychain. 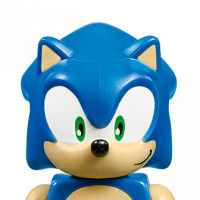 And yes, keychain collectors want them with the tag, or on the cardboard, or in the polybag. LEGO transitioned away from the printed back logo around 2003. Just before the first run of Batman and Harry Potter.